On this day, 24 March 1603, died Gloriana, the last of the Tudors to sit on the throne of England. In her final days it was reported that Elizabeth appeared to suffer from a depression after the death of one of her ladies-in-waiting and the execution of the Earl of Essex. It was also stated that Elizabeth held great regret about executing her cousin, Mary, Queen of Scots – causing her to shed many tears. 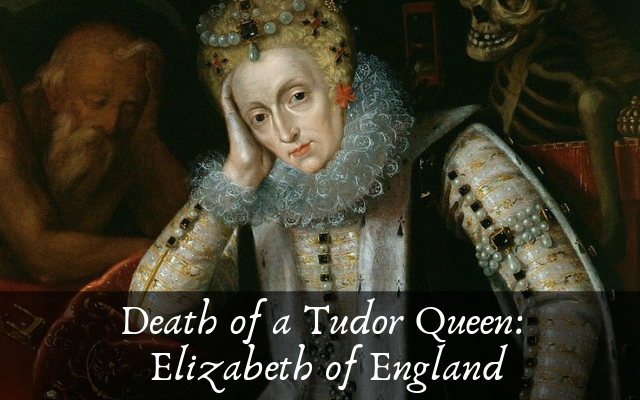 Near the end of her life the Queen was so fearful of death, so fearful of sleep, that she spent 15 hours standing up. When she eventually collapsed she was placed on a pile of pillows at the foot of her bed. This would be her final resting place. At the time of her death, it was reported that Elizabeth had a full inch of white makeup on her face and that she lost most of her teeth. The woman who once was so careful about how she looked to her subjects, had, in her final hours, showed her true age. But even so, Elizabeth was well-liked by her subjects and her effigy showed the respect they had for her. Her lifelike effigy made mourners at her funeral gasp. Many now believe she died by blood poisoning, but a post-mortem at the time wasn’t permitted. 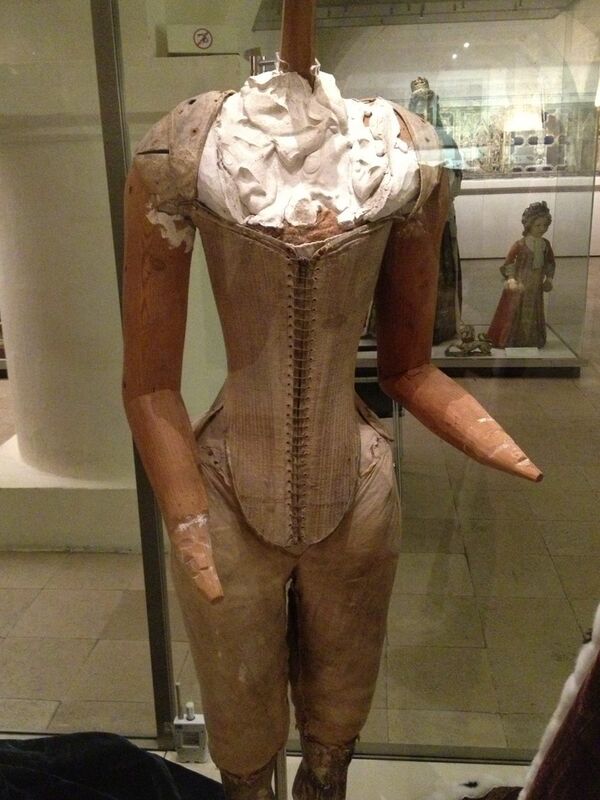 Surviving effigy with corset of Queen Elizabeth.